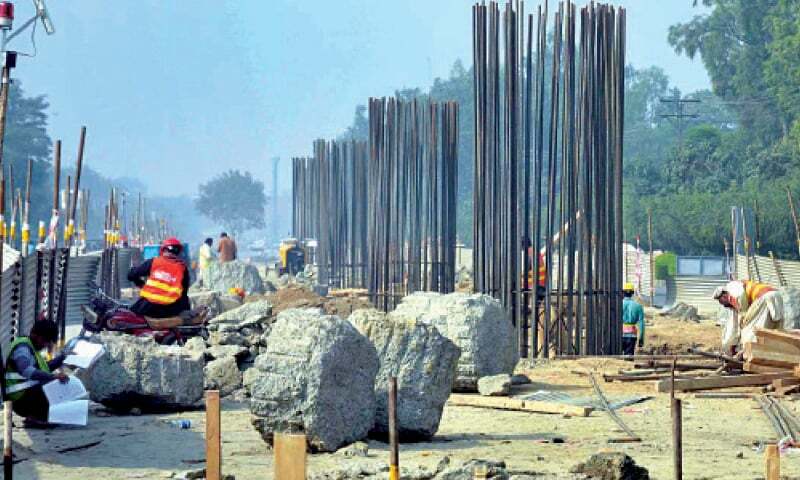 LAHORE: Poor quality of civil work on the Orange Line Metro Train (OLMT) project has left the residents of affected areas distressed as other than its contribution to air pollution, dozens of open manholes in Chungi Ammar Sindhu, Singhpura, Baghbanpura, Pakistan Mint, Shalamar Bagh and Quaid-e-Azam Interchange are causing a lot of trouble to the locals and commuters alike. A spokesperson of the city government, on the other hand, blamed citizens for dumping solid waste into drains. However, he said that sewerage projects in areas along the train route would be completed at the earliest. He also said that the departments concerned were trying their best to ensure that every manhole in their jurisdiction was covered so that no untoward incident occurred. It merits mention here that OLMT project was initiated with a signed memorandum of understanding (MoU) between Pakistan and China in May 2014. It extends over a route of 27 kilometers covering a total of 26 stations from Dera Gujjran (Raiwind Road) to Ali Town (GT Road). Out of these, 24 stations are elevated while two are underground. Financing for this project was secured in December 2015 when China’s Exim Bank agreed to provide a soft loan of Rs165 billion. Originally, the completion of OLMT project required 27 months, but now it is expected to be completed by the end of 2019 as the project was delayed for 22 months due to a stay order by the Supreme Court of Pakistan. The apex court vacated the stay order and permitted the previous Punjab government to resume the work and first successful test run was done within two months.